Are you being irritated by a phone call or need to hinder an unknown call? Well, if you are tired of doing this over and over, the good news is iOS gives a feature which can block the messages and calls consequently once you set up. 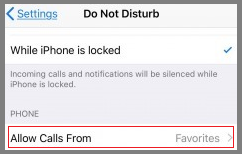 If you are getting unknown calls, this feature on your iPhone can filter those spam calls and messages as well. There are also some other third-party apps which can handle these type of calls easily by blocking instantly. 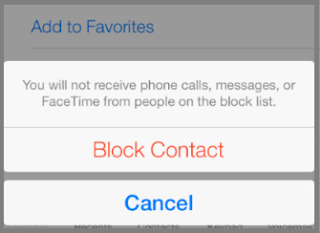 You will be surprised at the outcome if you block an iPhone contact. The callers will not be able to call you again and the messages they send will go to the blocklist of your iPhone. Whenever their call is connected, will instantly be diverted to voicemail. Yes, they can send you the voicemail but will not show on your phone, will be stored in blocked messages under the Voicemail section. If you want to block an unknown contact on iPhone then this guide will definitely help you in this case. The best thing is, later you can check the blocked messages and voicemails easily. How to Block Unknown Contacts on iPhone? If you are getting a call which hides its ID or an unrecognized call, you need to block this. These are the callers hide their caller ID and make calls, these calls are really risky as you cannot call back or view the exact number. Don't worry. You can block this as well. There are some apps like Truecaller & CIA on iTunes store which can block the unknown & hidden calls easily. What CIA do is, this opens the real record what your service provider can't. The app is free to install on your iPhone to start blocking the unknown and hidden calls. Also, there is another app called TrapCall. You can take a subscription to TrapCall and this app will automatically blacklist all of the unknown numbers as per its database record. If you need an instant solution to this irritating calls then activating DND on your phone is the best choice. This is easiest and free service provided by your service provider. Once you activate DND on your mobile this will restrict all of the telemarketing calls. However, iPhone comes with such settings handy. Just tap on it and activate the DND. It will make your phone call to silent whenever an unknown call comes into. The best thing is you can see the notifications of the missed calls and call back if you want. How to block a contact on iOS 12? 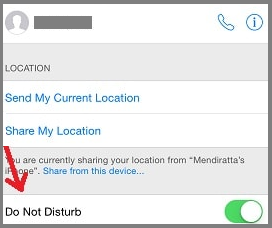 If you are on iOS 7 or later, you can follow these steps to block mobile number on your iPhone. This is only one tap method to do this easily. First of all, launch the phone application which has listed all of your call records. Find the caller into the 'Recents' tab if you had received the call recently. Once you get the number, check for the information. To do this click on 'i' symbol for that contact. Now the call log and other information will show up on the next screen. Now at the bottom on that page, you will see an option 'Block this Caller'. Just tap on this and confirm by tapping on 'Block Contact'. It's done! Now the person never will be able to call and send you messages. All the Voicemails and messages will be stored in the blocked section of that particular app. If you are on iOS 6 or earlier then the thing becomes easier. Yes, now you have many choices to block a contact. There are also some third-party apps to run on iPhone to help to block unwanted contacts but needs you to jailbreak your iPhone in order to do this. But, jailbreaking your iPhone is not a good idea as it skips all of the safety provided by Apple. Also, one update to your iOS can disable the jailbreak easily. Still, we don't recommend this, there is another fix for this. You can also list up contact numbers that you want to block the calls from. You can create a favourites list of contacts so that your phone rings only if any of those callers call you. To do this go to the settings and turn on repeated calls cut off. You can allow there to ring from the favourite contacts. However, another step is to create a contact and add all of the spam numbers there manually. Every time you get an irritating call just push that to the contact name and you get alert whenever he or she calls you. 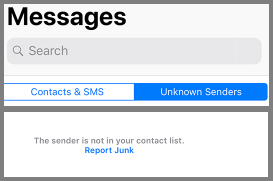 If you are getting spam or junk messages on your iPhone, you can report & remove on your iPhone. Once you report, the number will be sent to apple server for inspection. To do this open the message and below of that you will find an option called 'Report Junk'. Just tap on that. Now on the next screen tap on 'Delete and Report Junk'. But, you have to manually block the sender if you don't want to receive any messages again from the same sender.